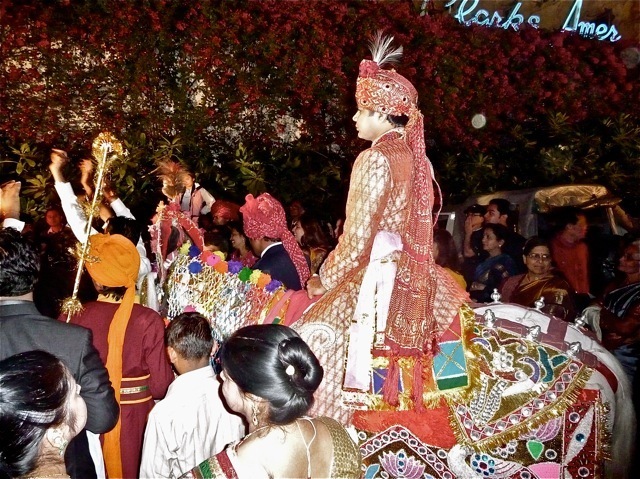 Traditionally or Digitally – How would you like to be invited to a wedding? I receive all kinds of electronic invites to events happening everywhere. They reduce the wastage of paper and you can RSVP right away so that your host can know whether you’re attending or not. Art gallery openings, product launches, birthday parties, baby showers, the whole works. Last week, for the first time ever I received an electronic wedding invitation. I’m not saying I have never received a wedding invitation in my inbox; I’ve just never received an invitation for an Indian wedding electronically! I’m serious. Printing wedding cards for the wedding is a big deal but an even bigger deal is going to give them out personally to peoples’ homes. Months are used up in planning the perfect wedding card, with the appropriate inserts for the many functions that will be held during the entire wedding celebration. These days there are a lot of pre-wedding parties that happen. Many moons ago, a wedding would last all of three days, and even back then it seemed tedious. These days you have a bridal shower, mehndi party, the sangeet night, engagement party, pithi ceremony, churra ceremony, the wedding itself, the doli and not forgetting the grand reception. In between there might be other ceremonies that I can’t think of right now (probably because I don’t get invited to all of them!) and it does tend to add up to a lot that happens before the wedding. I’m not begrudging anyone anything. A wedding is a wonderful time to bond with family and friends and also put up with that one idiotic relative who will want to start a fight or get drunk and try and ruin everyone’s mood. Come on. Admit it. We all have one such person in the family, and if you can’t think of anyone, then it’s probably you. I’ve often seen ladies at the temple giving away wedding cards even a week before the wedding. They have this bunch of cards with them and when they see someone they suddenly realize they have to invite that person too and are furiously writing the name on the envelope to give to the family and tell them to accept it as a personal invitation. Usually I’m pretty cool with such invitations. What makes me NOT attend these weddings is when they misspell my name and address the envelope as Mr & Mrs. Excuse me please… it’s a well known fact I’m not a Mrs and the least you can do is at least address the envelope correctly. And as if that wasn’t enough – what’s with the Mr on the card? 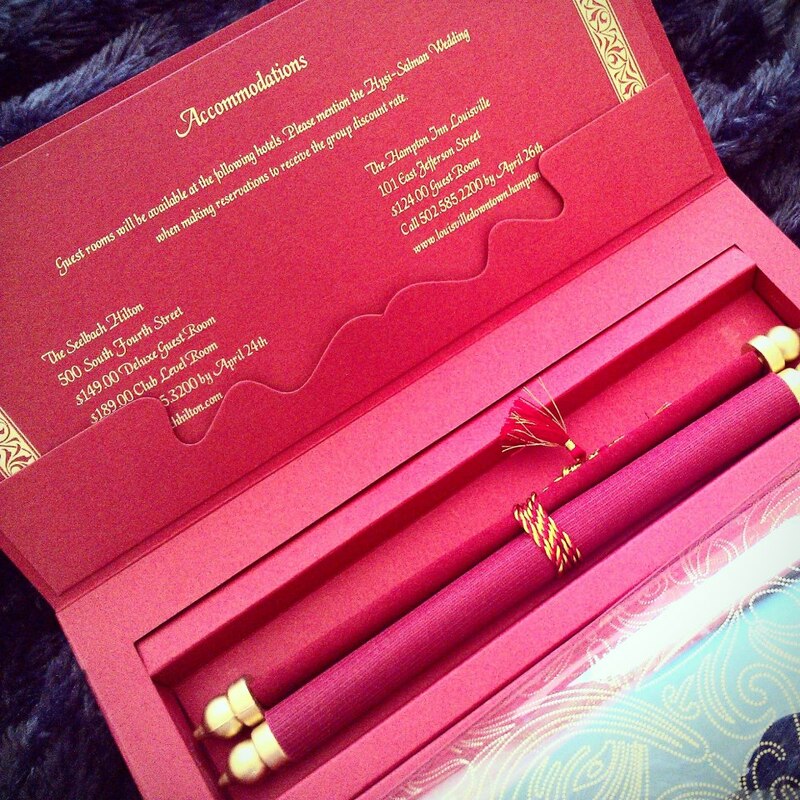 Anyway, I must say I’ve been very impressed with this wedding invitation and I hope more families adopt this culture. The amount that is spent on cards can be used on other things. I’ve been argued with by well to do people who say they can afford it. Good for you, I say. Also let’s hope that this couple getting married will also understand why their grandchildren might not have enough trees in their times because their grandparents went all out on cards that were made with hand-made pulp from virgin trees or something like that. How about a compromise? A card printed for the main day and maybe electronic invitations for the rest of the events? No? Err…. Ok. I guess that’s the last time I’m ever invited to anyone’s wedding! Next Are they stepping-stones or stumbling blocks?